I bake a lot during the holidays. That is what we are supposed to do right? And all of those need to be packaged, right? 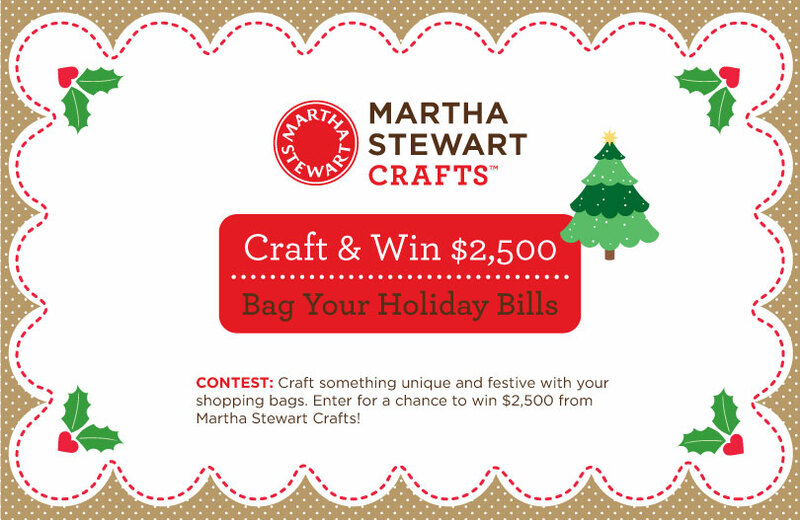 I picked up some "sweet" Martha Stewart Crafts Treat Boxes a few months ago on a whim. and, well, pretty much anything that needs a pretty package ever since. 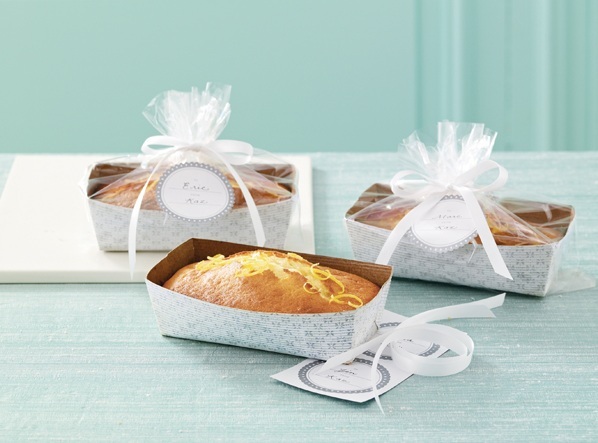 I also picked up Loaf Trays (similar to those picture below) from Martha Stewart Crafts. They were a "sweet deal" - I could not pass them up (bad habit of mine). 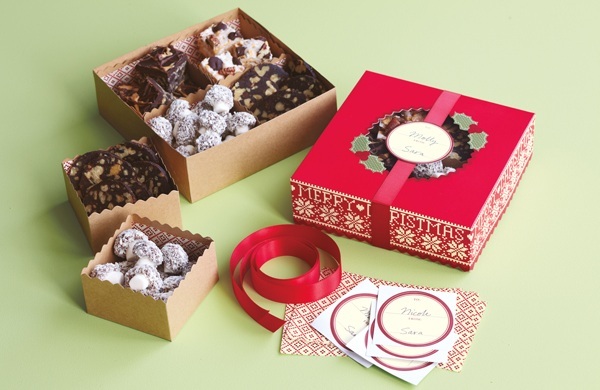 With these boxes and trays it takes little effort to package treats beautifully. 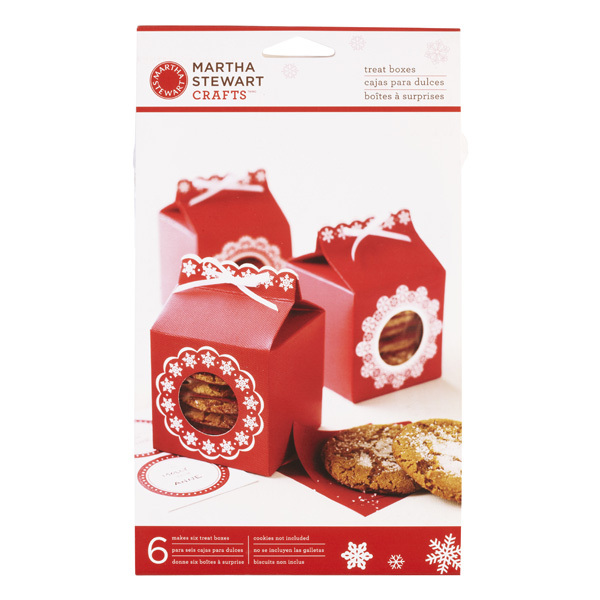 a wonderful touch to your baked holiday treats! 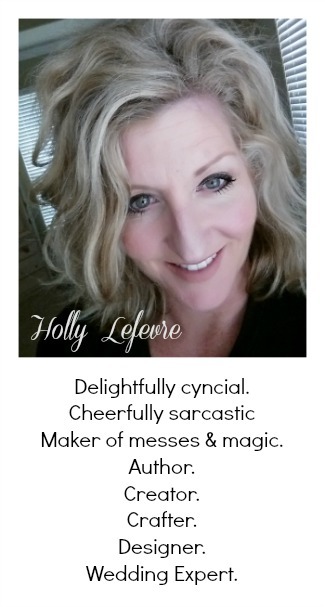 one you’ll be proud to bring to the homes of friends, co-workers and loved ones! Want to give someone an assortment of your favorite baked goodies? 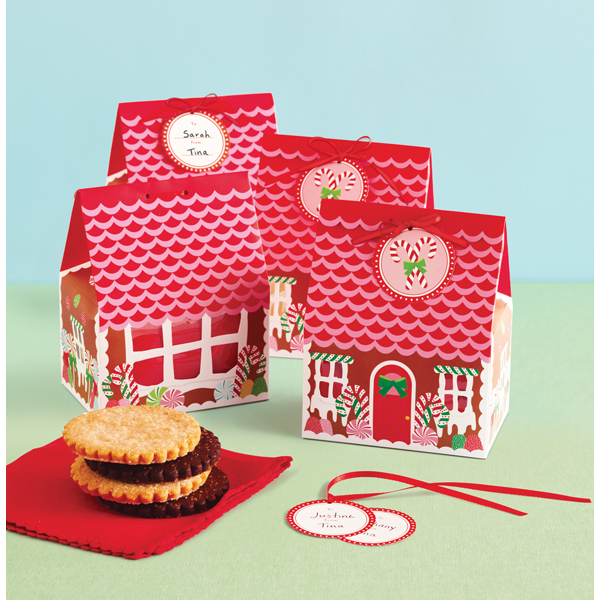 The “Cottage Christmas Compartment Treat Boxes” have four sections, all in one gorgeous box adorned with Christmas greetings and timeless red ribbon. “Snow Lace Treat Wrappers” have snowflake lace designs in red and icy blue. 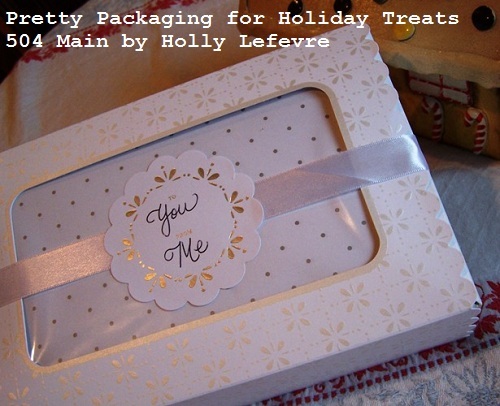 This elegant pattern also adorns the “Snow Lace Treat Boxes,” which have a porthole on the side to let people see the yumminess within. 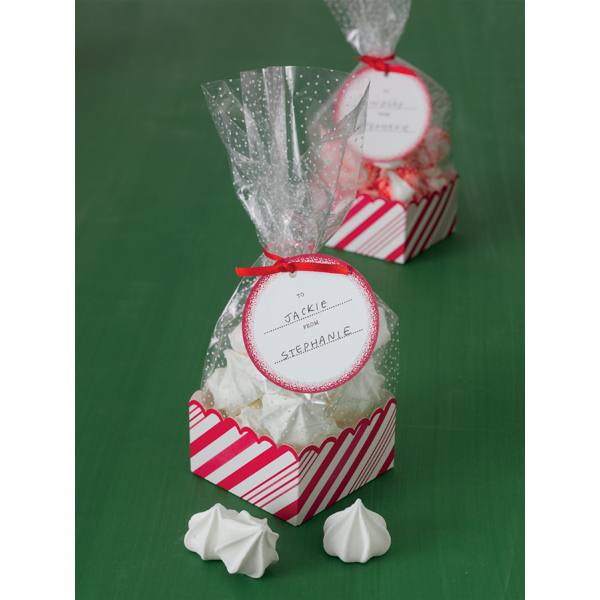 You can bake right in these “Wonderland Bakeable Trays.” – then use the cellophane bags, ribbon and labels to turn your confections into gifting perfection. Of course, stripes are always en vogue for Christmas – candy cane stripes, that is. 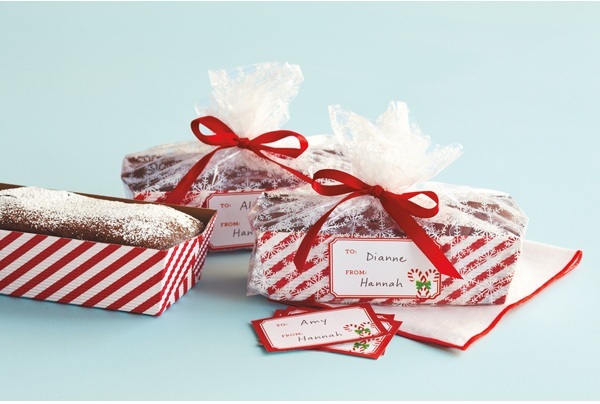 “Candy Cane Treat Bags” and “Candy Cane Matchboxes” turn candy, cookies and cakes into beautiful gifts. Martha Stewart Crafts "Bag Your Holiday Bills"
disclosure: this post is sponsored by Martha Stewart Crafts. I have used these many times products and they rock! Do you know how to fold the tops of the “Snow Lace Treat Boxes”? Very complicated.